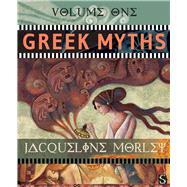 A gorgeous introduction to some of the most exciting stories every written: Greek myths. Prideful Arachne, turned into a spider by a jealous god. King Midas, given the golden touch. Hermes, the god who flies with winged sandals. This spellbinding anthology features some of the most gripping tales from Greek mythology, including Prometheus stealing fire from the gods and curious Pandora opening a forbidden box—only to unleash misery on all humanity. These retellings will enchant young readers and instill in them a love for storytelling. Four different illustrators—Patrick Brooks, Oscar Galvan, Ivana G. Kuman, and Alida Massari—bring their distinctive styles to the myths. Jacqueline Morley studied English at Oxford University and has taught English and History. She is the author of numerous books, including award-winning historical nonfiction titles for children. Her books have won several TES Senior Information book awards.